When selecting women's boxing gloves, you have three main considerations. First, size is important to ensure a comfortable fit that minimizes the risk of injury to the hands and fingers. 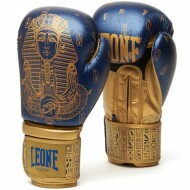 The boxing glove woman also come in different weights, ranging from 8 to 20 ounces. The lightweight woman boxing glove is generally used by professionals and during boxing fights and the heavier ones having thicker padding are used during training and for sparring (to avoid hurting her / his partner). 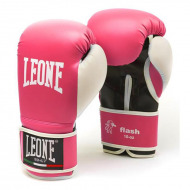 At Barbarians Fight Wear, Strasbourg boxing store, you'll find the best boxing gloves for women or for your club, including high-end women's boxing glove from the Leone 1947 brand. Available in a range of colors, sizes, sizes and colors. adjustments and different styles. We offer women's leather and PU boxing glove, with molded foam padding for comfort, and velcro wrist closures for added convenience. 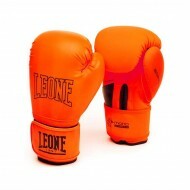 They are perfect for boxing during training and during fights but also during bear paw sessions. As a woman it is more complicated to find advice on girl-specific muay thai shin guards. Indeed, it is difficult to find boxing shin pads that go well, while offering the protection that the different disciplines demand. The sock shin pads are comfortable and usually stay in place, which means they do not move or slip after each blockage. But they are a bit difficult to put on and often offer less thick protection than these strap-on counterparts. The thai shingled thai boxing with straps are easier to put on and usually offer more padding than the protected shin sock. But if they do not fit well, they move and move more easily, forcing you to adjust them often and cause skin abrasions. It is therefore very important to look carefully at our different models of women's tibia boxing and do not hesitate to ask us questions before buying. We are both boxers (Marie-Pierre and Michel), coaches and competitors and will be able to guide you on your purchase of boxing shin protectors. 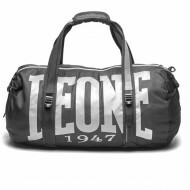 To protect yourself from low hits during the boxing training and in the ring, during the battles, invest in our boxing shell woman Leone 1947. 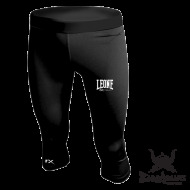 You will find on our site Barbarians Fight Wear, boxing store Strasbourg shell protection woman designed for the comfort with foam padding and elastic straps at the legs and sides. 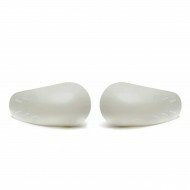 Our women's shells have met the high standards of CE approval. Our shell woman available in small, medium or large will meet the requirements of each boxer. Come and discover on our Barbarians Fight Wear website our beautiful boxing outfit. 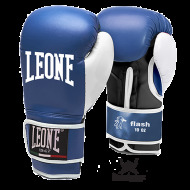 Whether you are practicing kick boxing, Thai boxing, boxing, English boxing, you will find your happiness on our site with the brand Leone 1947. Indeed, our boxing outfit, are available in several colors: red, blue, black, purple, pink. Our women's boxing apparel, are also available in several sizes to satisfy all female morphologies. We are also making a difference compared to other boxing brands with our beautiful line of boxing woman. 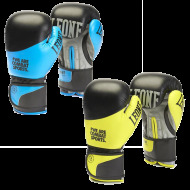 We have a wide choice with the approved colors in boxing. In the ring, you will make the difference with our boxing woman outfit. 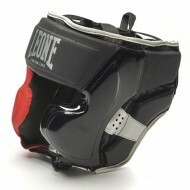 Our boxing shorts for the practice of kick boxing, Thai boxing, MMA, sanda will also satisfy you. Many cuts are proposed. Discover without further delay our short kick boxing woman. Find on our site Barbarians Fight Wear all the equipment boxing french woman: glove of boxing, protected shin boxing, protege boxing woman, shell woman. We have everything you need for boxing except outfits for the moment. Speaking of French boxing, do not forget the shoes. 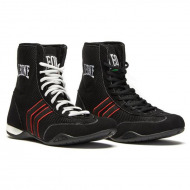 We offer very beautiful pairs of women's boxing shoes. 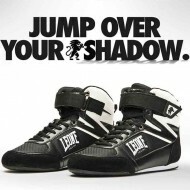 Available in several colors, white and black, our boxing shoes woman will surely satisfy you. Ranging from shoes made in Italy to total leather to more classic and affordable women's boxing shoes you will find your happiness. Our sizes are also available from shoe size 36, which suits the little feet of boxers. 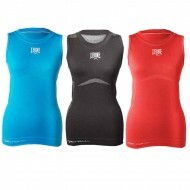 Our boxing chest protectors provide women with vital protection for breasts, ribs and sternum. They are an essential piece of equipment for all women who do contact sports, not just boxing. If you need help or have questions about chest protector boxing, feel free to contact Marie-Pierre ANSTETT at Barbarians Fight Wear. 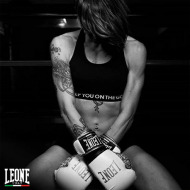 Boxer and competitor (French champion Kick Boxing, K1 & Sanda), she will advise you and give you good advice regarding the choice and use of Leone 1947 brand boxing chest protector.